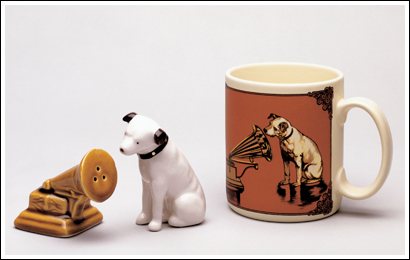 Nipper looking at his Victrola, listening to his master’s voice. This classic design is available as a great ceramic mug, perfect for imbibing while listening to your old 78’s. Sorry, Nipper S&P no longer available.